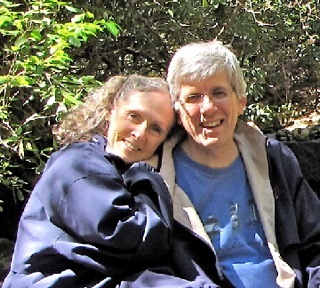 My wife, Donna, and I are passionate about our voluntary simplicity choices and love making life more simple and frugal. The Frugal Life community and forum keeps us excited about being kindred spirits with so many that find simpler living a worthy choice. Hope you’re enjoying the blog website that provides frugal topics. Subscribe by email, RSS or newsletter. The Herbs Place – Nature’s Sunshine’s herbs, supplements, essential oils, skin care, and more. Free Herbal Medicine Chest info, free classes and informational email newsletters. Flint River Ranch Natural Oven-Baked Pet Foods – Recognized by Whole Dog Journal, it has been ranked among the "Top 10 Dog Foods in the United States." Silver Sol Silver Shield Research and information on safe nano-sized technology colloidal silver. No toxicity, no argyria and patented. Life’s Abundance Pet Foods and Supplements formulated by Dr. Pet Corner – Informational site with lots of links for cats, dogs, birds, horses, rabbits, and reptiles. Natural pet foods, supplements, bones, and more. Ben’s Herbs Place This is a website that our son built because of his staunch belief in herbs and vitamins. Please stop by and check out what he has to offer. Compassion International – We’ve been sponsoring children since the 70’s and find it’s been one of the most rewarding experiences. We have so much compared to so many who live on less than a dollar a day. Getting to know a family that prays faithfully for you has been a delight to our hearts. League of Prayer – These people have been prayer warriors for thousands here in the USA and around the world. They are involved in many life-giving projects in many countries and operate on an amazingly low administrative budget. You’ll also find good information on prophecy in current events. Target Earth – Serving the poor and the earth. You can’t destroy a piece of the earth in remote places of the world without destroying indigenous people. Destroying the rainforests have left people homeless and without a source of food or clean water.